The year was 1953. Mark Smith had discovered the beauty of the Rubicon Trail in his Jeep® and organized the first-ever group adventure across the Sierra Nevada Mountains. And thus began Jeep Jamboree. Combining his appreciation for the rugged splendor of the California terrain with his passion for pushing his Jeep to its off-roading limits, Mark Smith took a dream and turned it into a business. Like any great adventurer, it didn’t take long for Mark to begin looking for the next challenge – higher mountains, rougher terrain and new explorations. Over the years, Jeep Jamboree grew from riding the Rubicon Trail to, what is today, the world’s largest off-road adventure company. Describing his longest outing as “one of the greatest trips ever,” Mark led the 1978 Expediction de las Americas. Over the course of 30 days, the group traveled from the southern tip of South America northward nearly 21,000 miles, crossing the Darien Gap, to the top of North America. Jeep Jamboree USA was officially founded in 1982. 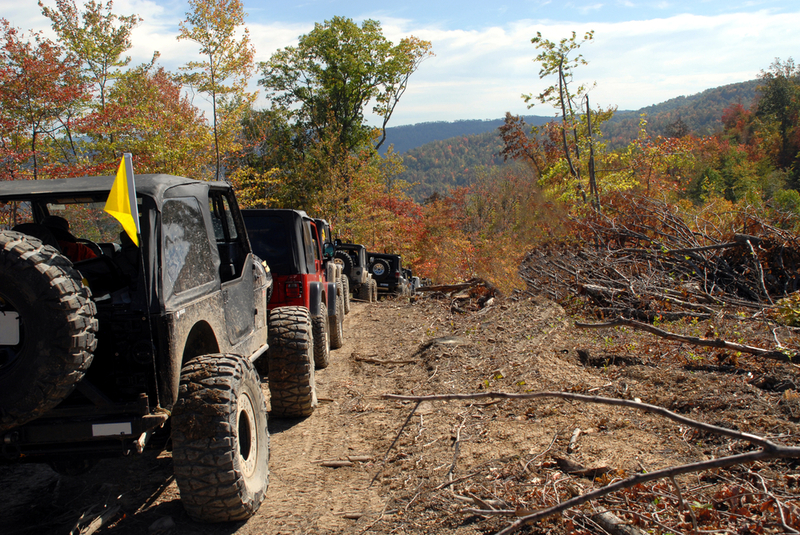 Today, Jeep Jamboree USA hosts more than 30 events nationwide each year. From experienced off-roaders to rookies, participants enjoy some of the most beautiful back roads in America. “You haven’t seen America until you’ve been places only your Jeep 4×4 can take you,” said Mark Smith. Designed to be a family adventure, Jeep Jamboree USA is also a family business. Daughter Jill Smith is President and CEO of Jeep Jamboree USA and credits her father for her sense of adventure, independence and fearlessness. She grew up on the Rubicon Trail and from the day she turned 16 and got her driver’s license, she’s been driving the trail. Son-in-law Pearse Umlauf is Vice President and General Manager. Jeep Jamboree is strictly for Jeep 4×4 vehicles and most destinations have varying ranges of difficulty. Any Jeep with a 4-LO transfer case (showroom stock or modified) is welcome to participate. For more information about Jeep Jamboree USA, visit their website. And if you’re interested in more information on Jeep lease deals with Chrysler Capital, visit your local dealer.